Terry and Helen knew they wanted a Highview Home from the moment they drove past the Victoriana display in Mount Waverley. The couple instantly fell in love with the classic style, ornate finishes and quality craftsmanship – all the elements which make Highview Home designs authentic. Terry and Helen were in the property market at the time, looking for an ideal location to build a Victoriana style Highview Home. “The Highview Homes display home staff member was very helpful with our land search, he recommended block sizes and shapes which would best suit the floor plan. Highview Homes was also very open to making variations to the floor plan to fit a particular block. 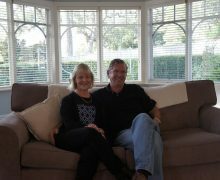 We knew exactly what we wanted to build, we just needed to find the perfect place to build our dream home,” says Terry. When a Highview Homes built Victoriana came on the market in Lysterfield, it seemed as though the stars had aligned for Helen and Terry. “We knew as soon as we walked in that this house was the one, it is exactly the floor plan we wanted, in a lovely leafy street, overlooking gumtrees and hills. We felt like we had won the lottery,” says Helen. 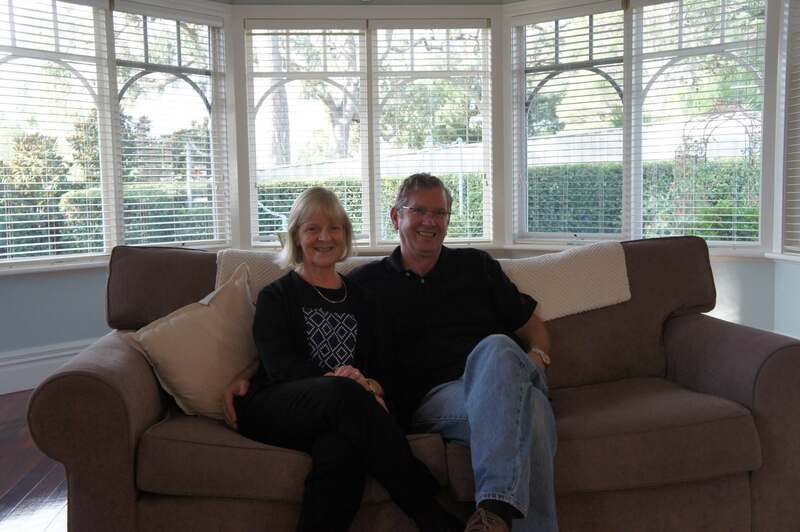 Terry and Helen bought the established home in February 2017. The couple have already hosted pre-wedding photos for their daughter, a birthday party for Helen’s mother and their grandson’s third birthday. “The living room is a great entertaining space. The bay windows provide a beautiful outlook and the afternoon sun streams through the raked ceiling, our house is fast becoming the destination for events with family and friends,” says Helen. It is not only the large living spaces which Terry and Helen have been enjoying, the floor plan suits other aspects of the couple’s lifestyle perfectly. “I work from home, so the large office located off the dining room, is a great space to work undisturbed,” says Terry. The home also features polished floor boards, 9-foot-high ceilings, ornate ceiling roses, and a country style fireplace. “This home is absolutely beautiful; the craftsmanship is exquisite and we feel so proud and lucky to call it ours. We won’t move from here until we have to,” says Helen. Terry and Helen look forward to holding many more celebrations with family and friends in the coming years, they are simply over the moon to be living their dream. We thank Helen & Terry for their time and for inviting us into their wonderful home. To find your dream Highview Home visit our Home Styles page. Live your dream.